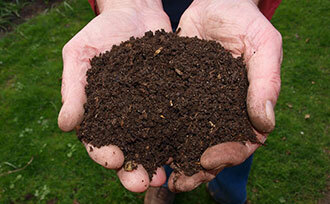 If you need to know when to start fertilizing and how much to use, check the package label. Here’s our recommendation for when to stop fertilizing and why. When it comes to fertilizing plants and trees, the package label is a wealth of information for application rates and frequencies. 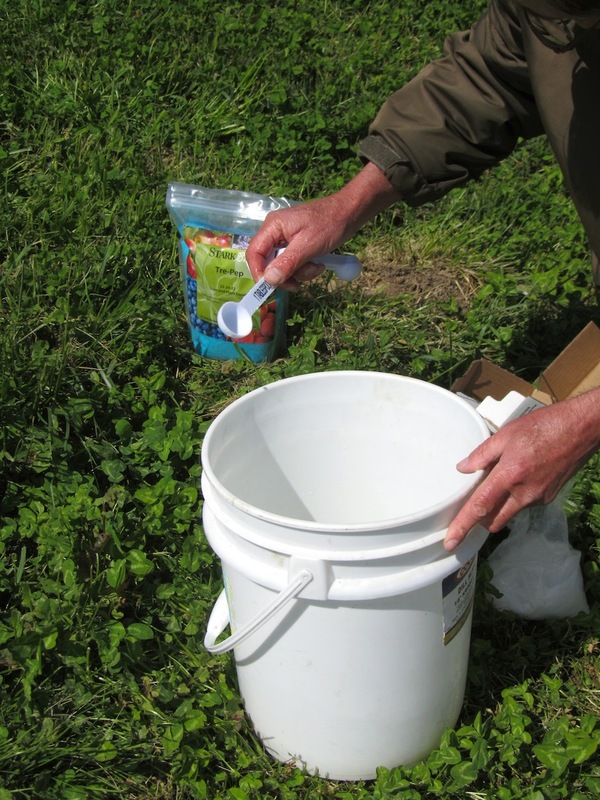 Most water-soluble packaged fertilizers recommend that the first application be made around bud-break in the spring, once the ground has thawed. 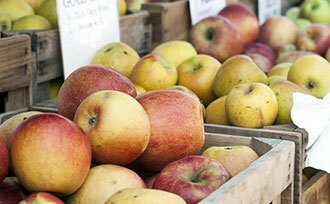 Subsequent applications can vary based on the growing season. Recommendations also differ depending on the severity of the nutrient needs of your soil, plants, and trees. 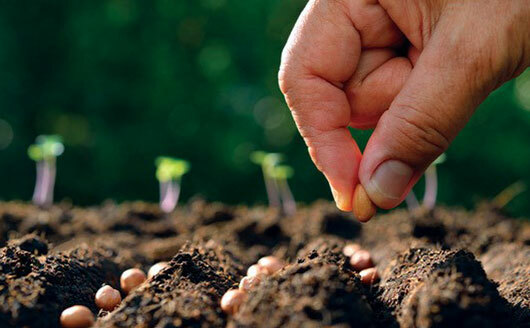 Ultimately, by reading the package label, you get a basic sense of when to start fertilizing, how much to use, and how often – but do you know when to stop fertilizing? Make the last fertilizer application before July 1. Many fertilizers contain nitrogen, which is absorbed by the roots and boosts vegetative growth (new leaves and branches). This active process requires uptake time and response time for the resulting growth to emerge. New growth also needs time to “harden off” before winter. Tender new growth is at risk of cold injury if it is forced late in the season, when plants and trees should be shutting down for winter. 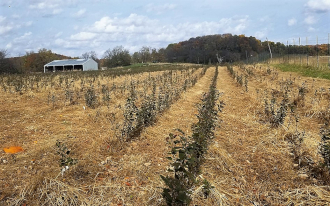 Plants and trees that have started hardening off are no longer concerned with actively growing, so fertilizing into fall is often not worth the effort. 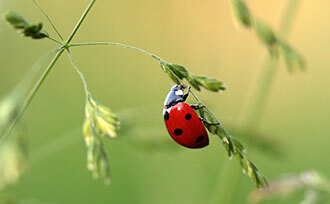 There are some exceptions, such as mild, slow-release fertilizers. 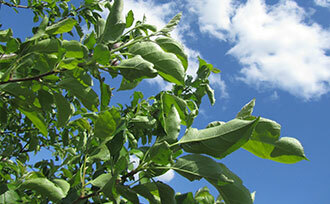 For example, Fruit Tree & Ornamental Gro-Stakes® are intended for use during spring, mid-summer, & fall. Note: our granular Stark® Orchard Fertilizer should only be applied once a year; sometime during spring but prior to July. Fertilize wisely. 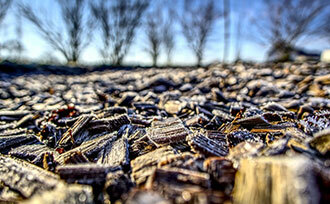 Before applying any fertilizer, be sure that your soil, plants, and trees actually need it. Fertilizer isn’t like water and light, which are vital to the survival of deciduous plants and trees. Get to know your soil before adding to it. Applying too much unneeded fertilizer can result in a nutrient imbalance, foliar burns, and even fruit-production issues. Less is more! 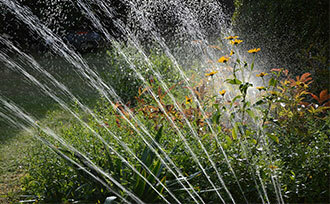 Over-fertilizing can negatively affect your plants and trees. 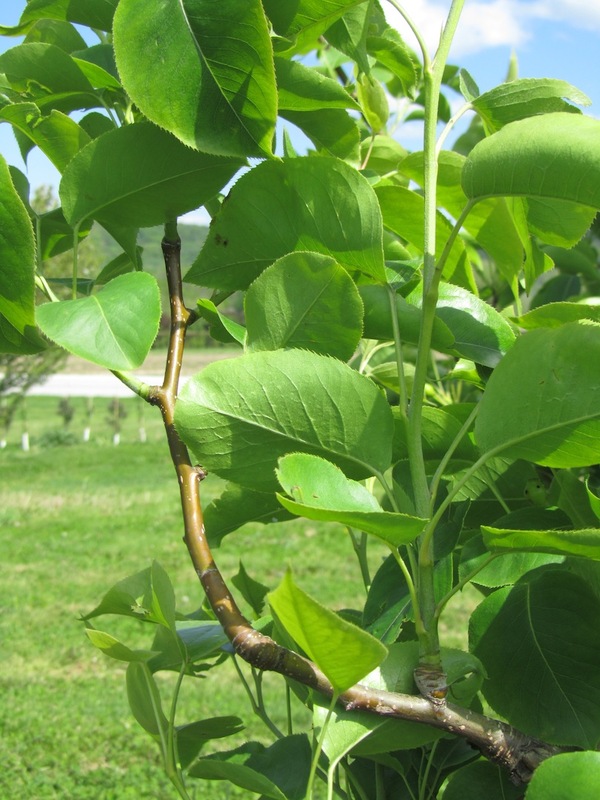 New growth forced by excess nitrogen is susceptible to issues like fire blight in apple trees and pear trees. 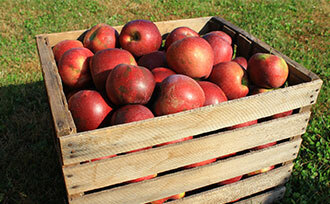 Read more about fire blight, a bacterial disease, here. 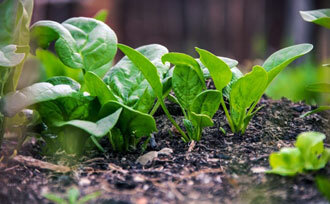 Terminology: Learn the differences between “fertilizers“, “organic fertilizers“, and “soil amendments” from the Colorado State University Extension here. 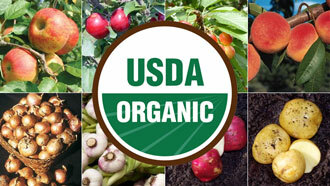 What USDA Organic Certification Means "Organic" has become a generic term, and is broadly used to describe everything from foods, products and practices that are merely "natural" to those that are authentically certified USDA Organic. 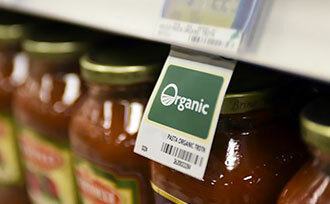 The green USDA Organic seal above cannot be displayed without certification by a USDA-accredited agent. 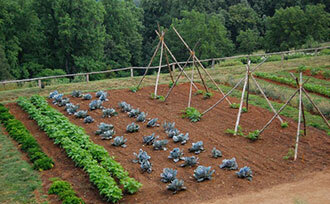 Our organic farm, and the trees we grow upon that land, have been officially certified as USDA Organic. 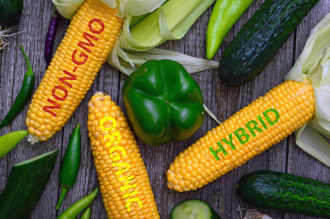 Organic vs. Non-GMO vs. Hybrid: What’s the difference? Organic. Non-GMO. Hybrid. Even heirloom. The names are confusing and are often (mistakenly) used interchangeably. While they are related, they are not the same. In this article, we’ll lay out the differences and explain how these labels apply to the trees and plants we grow at Stark Bro's. 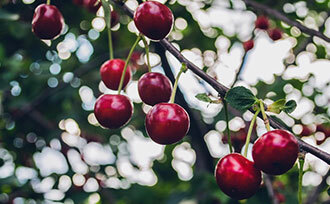 Organic Frequently Asked Questions Here we answer all of your questions about what “organic” really means, how we grow our organic trees and how they’re different from our conventionally grown trees.